Elegant and comfortable kitchen interior, white glossy facades and built in appliances. Kitchen electrical equipment. 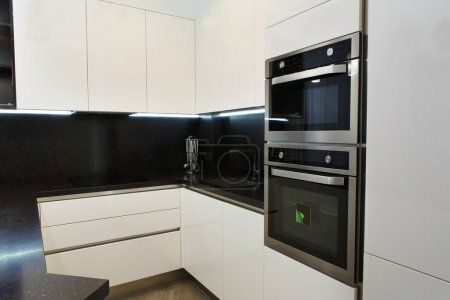 Cooker and oven, black cooking worktop. Modern interior design.